Though since i did these quite a long time ago i'm going to do a recheck on these since i know the converter i'm using didn't get one of the autotiles from each set. So let me know if any are missing so i can make a extra folder for the said missing autotiles. All of the stuff is in a rar.format so IzArc is recommended for unzipping rars. The only exceptions i did not do were the Binded People and the Expression Chipsets. Though i can also do those if anyone wants those. Also as a bonus the entire default RTP from RPG Maker 2000 & 2003 Converted. Links are updated to mediafile links due to the megaupload issue. Thank you for that reuploading links now. There's got to be a better service for this i may have to use dropbox for this. EDIT: All links are reuploaded to dropbox so now this should not happen unless the links are dead again. I was working on this project, and never knew it was already here, clicking the links now. 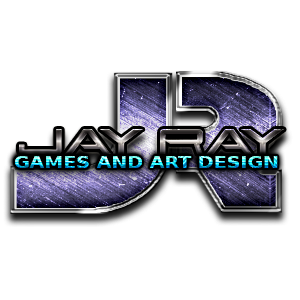 (07-25-2015, 06:27 PM)JayRay Wrote: I was working on this project, and never knew it was already here, clicking the links now. Well i did this years ago and i am sure i am probably missing things though i am going to check yours now since i am sure you did a much better job at the conversion than i did. Sorry for updating this. Anyway going to be updating this since the links are old and going to compile them all to just two folders for easier access. Since my dropbox is hitting close to the limit and need to do some folder cleaning.